A young cow that has been brought into the donor pen based on her intriguing pedigree, awesome EPD profile, and PERFECT udder structure. 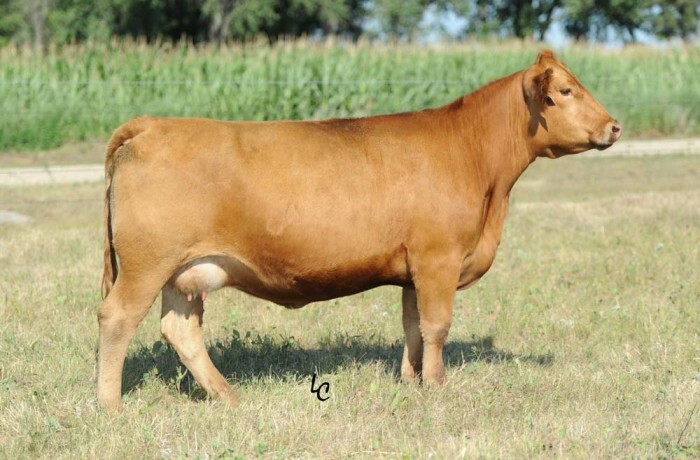 The 701T daughters have quickly become known for ideal udder structure and teat size and Y82 epitomizes that very thing. Open and flushing for 2014.